REAPER is now a ver.0.957! Remember that when this reaches v.1.0, it'll no longer be free. Purple 2 from ODO Synths. An FM synth with 4 operators; you can now unison up to 5 voices. Rosegarden is now up to version 1.2.4. REAPER is now up to ver. 0.99 and is now on its way to becoming a full-fledged DAW. 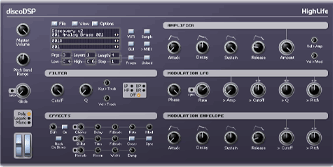 Flybaby - a Crybaby emulation which uses impulse responses from a real Crybaby. GLITCHGIRL - Don't know what it does yet but I like the graphics. Drumagog for the masses? Here's KTDrumTrigger. 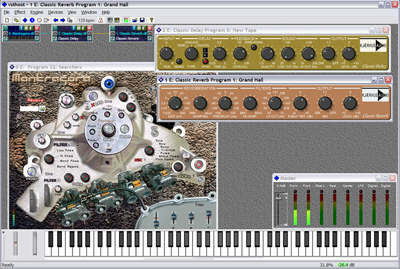 Angry Red Planet releases a midi-oriented sequencer which allows realtime manipulation: Sequitur. How about some brass this time around? DSK VSTi Brass. @TheHunter - sorry for not replying sooner... the internet ate my post... Anyhoo, you would expect Cubase and VSTs to behave better with each other since Steinberg did write the VST spec while Audition uses a wrapper to communicate with VSTs. If it's any consolation, Cubase 4 doesn't do DX plugs anymore. Might be just the thing for folks who like to perform with their laptops. While you're there, also check out SAVI Host, which is like a lite version of VST Host. There's more... but I got tired looking. ..so i was wondering since there's a plug in for distortion, delays, reverbs, etc.. maybe there's also a VST plug ins for violins ..
Bad Behavior has blocked 35062 access attempts in the last 7 days.